The channel is and has been great at a lot of things, and it shows in the maturation of partners and how they approach their business models. The indirect channel sells more products to more markets, and as its influence grows, so do pressures to build up areas that may have been historically weak. Perhaps nowhere does that paradigm play out than in channel marketing. Vendors, in turn, are pressured more to help their partners with their marketing efforts. The marketing piece of the channel model is critical, but it’s also more complicated than it ever has been. Just ask Corey Cohen, who heads up the marketing department at TBI. In her role, she has to develop programs that help partners at various points of their marketing-evolution journey, from various backgrounds and with varying product portfolios. From marketing automation to social selling to blogs and content creation, the number of customer touch points has increased so much so quickly that many partners aren’t sure where to start or how to keep up. They’re demanding their OEMs step up and help out. We sat down with Corey to talk about the state of marketing in the channel, the challenges to her role and where she thinks the evolving channel is hitting channel marketers the hardest. 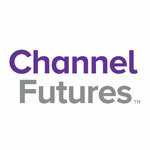 Channel Futures: When did you enter the channel, Corey? Corey Cohen: I entered the channel here at TBI three years ago, but I came from a B2B marketing agency for the last seven-and-a-half years, and before that I worked in PR for tech companies. Pretty much all I've ever knows is B2B. CF: The channel still operates on a “referrals and networking” model. A lot of partners are technology workers, not marketers. How has their understanding of digital marketing changed in the three years you’ve been in this space? CC: Three years ago, they were like, "Eh, don't talk to me about marketing. I'm too busy selling. I don't really understand what you're telling me and I'm just going to ignore it." In the past three years, they’re starting to really understand and actually see the impact of social selling, for instance. They've seen how their peers in the industry actually got referrals on LinkedIn and were able to make sales from it and they’re like, "How can I do that?" They've come to us in a more proactive way, saying, "Help me with my LinkedIn profile. Help me with my company business profile on different social media outlets. And can you also help train my newest marketing intern?” The partners that have expressed interest and come to us has more than doubled in the last three years. But then we also have partners that actually have a CRM, some sort of marketing automation, what have you. A ton of them already have the basics and are sending out at least a newsletter once a month. Or they are sending some sort of email to current customers, but maybe they’re missing the boat on prospecting or need help with prospecting. CF: A lot of the partners I talk to just don't seem to place a huge emphasis on having their own marketing initiatives. Their time is limited, and they don’t have the resources, even though they recognize it’s important. They want a lot more heavy lifting from their vendor partners on marketing and co-branding and things like that. CC: They do. And that's where the partnership comes into play, right? Because they're like, "I don't want to learn a whole new skill. I would rather you do it for me or give me the basics with it packaged in a box so then I can just employ it." And, that's OK, too. I mean, we're not asking them to become marketers or expert marketers. The good sales people know that they do have to be marketers, though, in order to be successful at sales. I'll tell you, the amount of partners that have come to us asking for a website audit or their own sort of content creation, or help with blogging, or even, like I said, upping their individual profile on LinkedIn, those requests have more than doubled because they're seeing their peers having success doing it. Because we share case studies about it, and we say, "This is just another tool in your arsenal to help prospects, or to up-sell or to help cross-sell." I mean, if you're not tooting your own horn, who is? You're losing to someone else who is, even though you do the exact same thing. CF: What is the single biggest challenge you see the digital transformation having on partners? CC: The digital transformation and landscape, I could write a book on it, I think. Because it's not just their customers' businesses transforming digitally. It's also their own businesses digitally transforming, and it's like a weird juxtaposition that they're faced with, right? Because they have to evolve at the same time as trying to keep up and meet the demands of what their customers are expecting of them. So they're having to adapt twice at the same time. And that's hard! It's a lot of pressure to put on any type of selling partner. It's definitely time to lean on your resources to help mitigate the pain. Are you a TBI Partner? Sign up for TBI Partner Marketing Center here and start campaigning today.